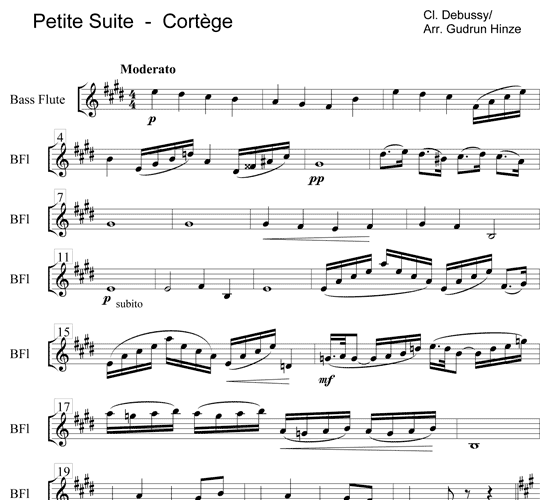 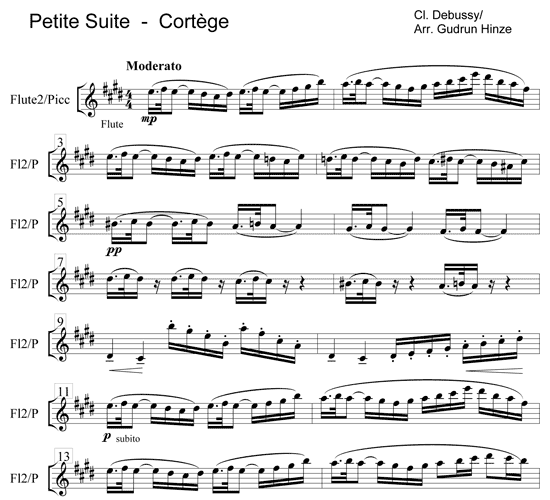 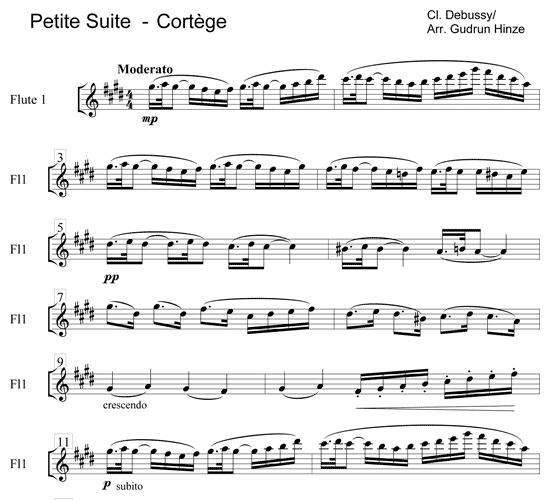 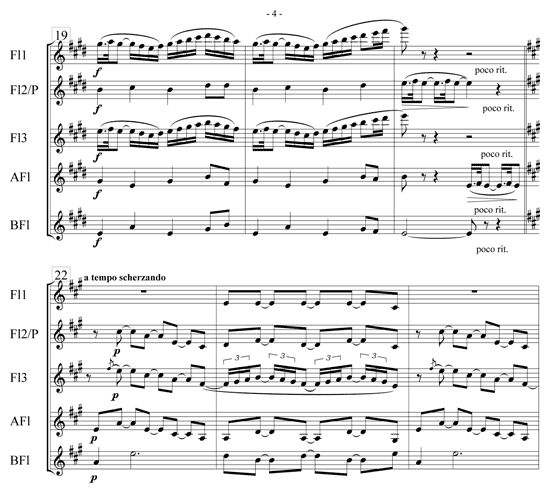 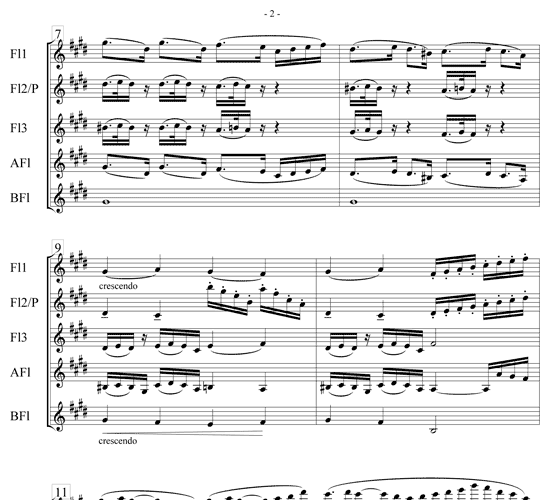 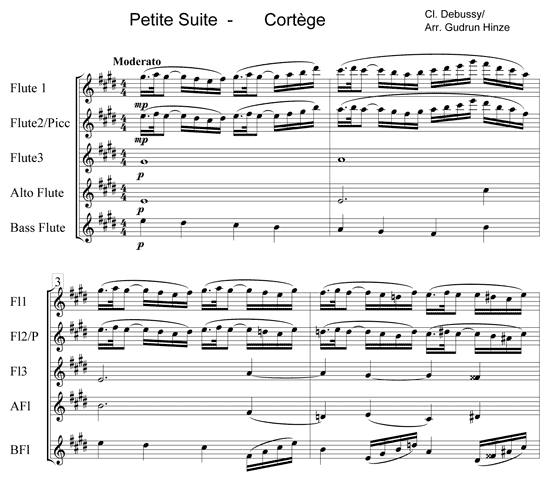 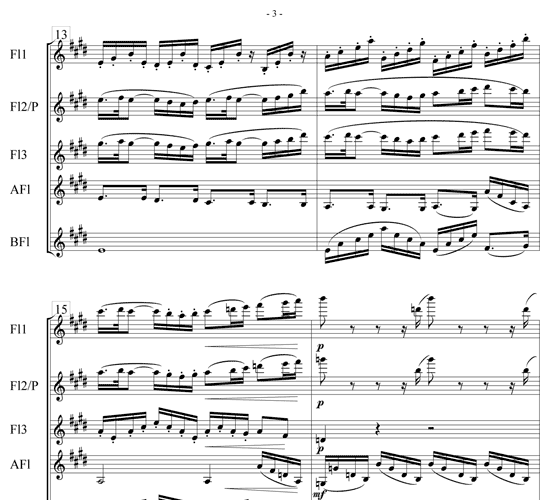 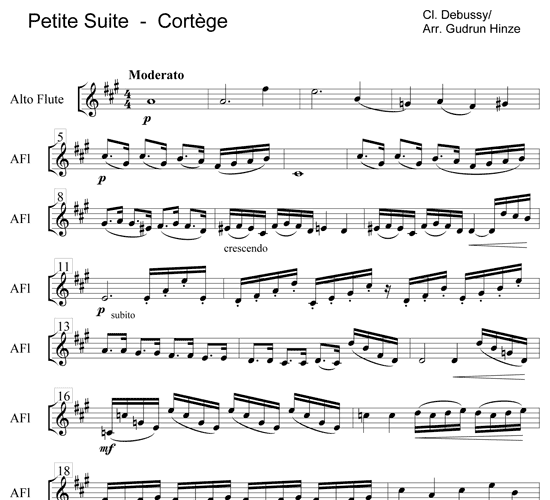 The “Petite Suite” is modeled by Debussy (1862-1918) on the dance suites for harpsichord by Couperin and Rameau. 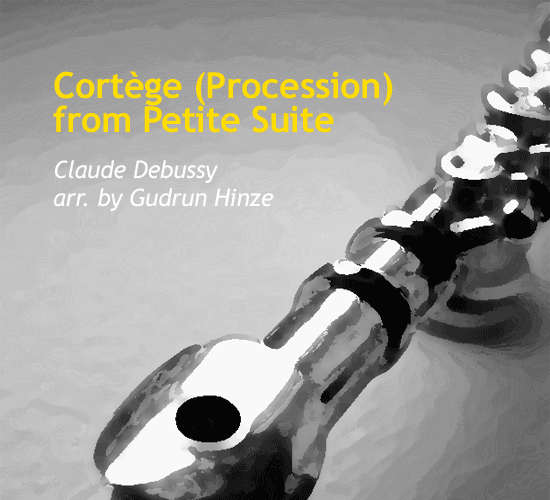 This movement, Cortège, gives us the image of a festive procession on a medieval court. 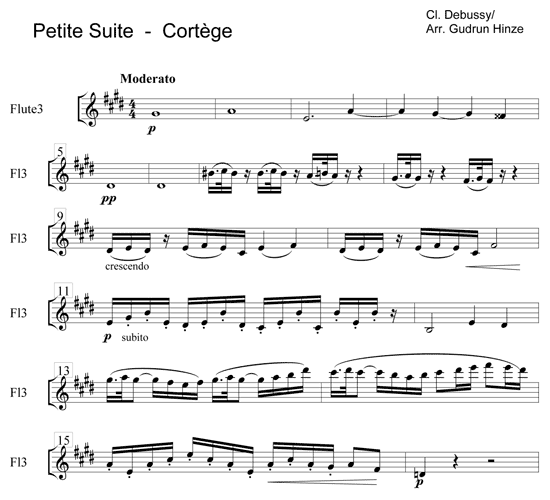 A wonderful opening of a Flute Ensemble concert!